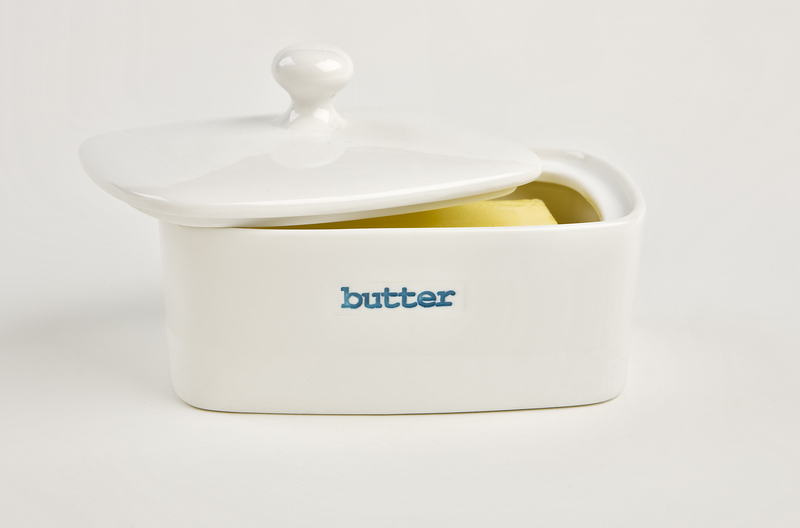 Unique Keith Brymer Jones stylish white ceramic butter dish with “butter” hand stamped using Keith’s iconic retro typewriter font for a stylish touch of vintage chic. Part of the Keith Brymer Jones Word Range. 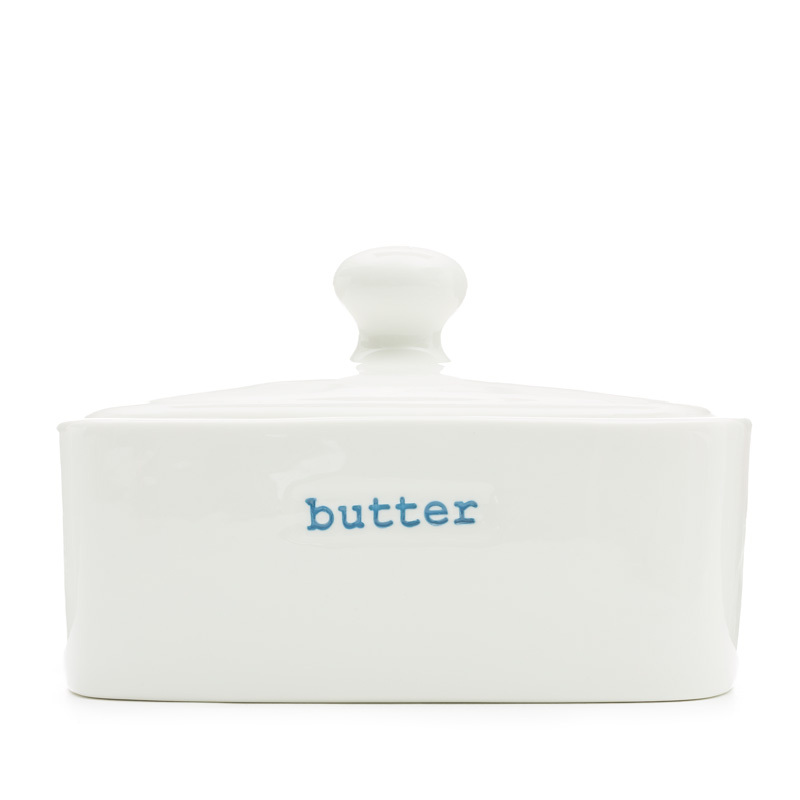 The stylishly simple, white ceramic butter dish from designer Keith Brymer Jones is an elegant and contemporary piece of modern tableware, crafted from super white porcelain and hand-finished with the word ‘butter’ stamped in a retro typewriter font. The Keith Brymer Jones ceramic butter dish is hard-wearing, dishwasher and microwave safe.